The 1994 publication of the book, The Gift of Dyslexia described a new theory of dyslexia which has influenced many researchers. Rather than looking at dyslexia as a disability or mental defect, Davis described it as a function of picture-thinking, with an accompanying array of strengths and abilities. Davis’ groundbreaking view has intrigued and influenced many researchers. This page lists articles published in research journals or through universities or public agencies which include reference or citations to Davis’ books or the Davis approach to dyslexia. Ahmad, Fouzia Khursheed. Use of Innovative Techniques for Education of Children with Learning Disabilities: Successful Initiatives for Inclusive Education. . , 2010. Akhavan Tafti, Mahnaz, Mansoor Ali Hameedy, and Nahid Mohammadi Baghal. Dyslexia, a deficit or a difference: Comparing the creativity and memory skills of dyslexic and nondyslexic students in Iran. Social Behavior and Personality. 37 (8), 1009-1016, 2009. Akhavan Tafti, M.. Acknowledging the Difference: Lessons from Differentiated Instruction, Multiple Intelligences, and Visual-Spatial Learning Theories for Students With Learning Disabilities. Applied Psychology. 6: 1-10, March, 2014. Al-Hroub, Anies. Perceptual skills and Arabic literacy patterns for mathematically gifted children with specific learning difficulties. British Journal of Special Education. Published Online: 22 Apr 2010, 2010. Ambrose, Patricia Philip; and Loh Sau Cheong. Effects of the Clay Modeling Program on the Reading Behavior of Children with Dyslexia: A Malaysian Case Study. Asia-Pacific Education Researcher. 20 (3): 456-468, 2011. Amsberry, Gianna; T. F. Mclaughlin; K. Mark Derby; Teresa Waco. The Effects Of The Davis Symbol Mastery System To Assist A Fourth Grader With Dyslexia In Spelling: A Case Report. I-managers Journal On Educational Psychology. Vol. 6, No. 2, pp 13-18, August-October 2012, 2012. Antonelli, Liam, with 15 others. Drama, Performance Ethnography, and Self-Esteem. SAGE open. Vol. 4 No. 2, April-June 2014, 2014. Alyssa Ashbaugh. Multi-Sensory Techniques in Spelling Instruction: An Action Research Study for Students with Dyslexia. Master's Thesis. , 2016. Bacon AM, Handley SJ, McDonald EL. Reasoning and dyslexia: a spatial strategy may impede reasoning with visually rich information.. British Journal of Psychology. Vol 98 (Pt 1): 79-92 (February) 2007, 2007. Bacon AM, Handley SJ. Dyslexia and reasoning: the importance of visual processes.. British Journal of Psychology,. Volume 101, Number 3, pp. 433-452 (August) 2010, 2010. Bacon, Alison M, & Samantha Bennett. Dyslexia in Higher Education: The decision to study art. European Journal of Special Needs Education. iFirst 20 Nov 2012, 2012. Bacon, Alison; Fabrice B. R. Parmentier, Polly Barr. Visuospatial memory in dyslexia: Evidence for strategic deficits. Memory. 29 August 2012, 2012. Bacon, Alison M., and Simon J.Handley. Reasoning and Dyslexia: is Visual Memory a Compensatory Resource?. Dyslexia. First published online 8 Sept 2014, 2014. Bell, Sheena. Exploring support for dyslexic adults in the English workforce: lessons learnt from the story of an adult dyslexia group. Support for Learning. Volume 24 Issue 2, Pages 73 - 80, 2009. Bell, Sheena. Inclusion for adults with dyslexia: examining the transition periods of a group of adults in England: Clever is when you come to a brick wall and you have got to get over it without a ladder.. Journal of Research in Special Educational Needs. 10 (3): 216-226, November, 2010. Bertran, Liz. Retaining the Struggling Adult Learner. Supporting the Success of Adult and Online Students: Proven Practices in Higher Education (Volume 5). , 2016. Bouwer, Cecilia. Reading and Writing. Keys to Educational Psychology. pp 83-118, 2004. Bumbaugh, Connie. How Perception Affects Learning: Going Beyond a Multi-Sensory Instructional Approach. Knowledge Builder. Volume 1, Issue 4 (Winter), 2006. Alice Cancer, Serena Manzoli, Alessandro Antonietti. The alleged link between creativity and dyslexia: Identifying the specific process in which dyslexic students excel. Cogent Psychology. (Pre-press), 2016. Patricia Carson and Reesa Sorin. Symbol Mastery and the Retention of Dolch Spelling Words. 2014 IERG 9th International Conference on Imagination and Education. 13 June, 2014. Centofanti, Joyce Michelina. A single-subject multiple baseline and feminist intertextual deconstruction of gender differences among kindergartners in learning the alphabet using clay and a tactile/kinesthetic multiple intelligence and Montessori pedagogy. . Ph.D. Dissertation, 2002. Cole-McCrea, Candace. Cultural/Spiritual Attributions as Independent Variables in the Development of Identity and Potential for Persons of Exceptionality. Spirituality and Intellectual Disability. William C Gaventa and David L Coulter (editors), pp. 89-98, 2002. Coltheart, Max, and Genevieve McArthur. Neuroscience, education, and educational efficacy research. Neuroscience in Education: The good, the bad, and the ugly. , 2012.
Cooper, R. Diagnosing Dyslexia: A Critique of the Use of Norm-referenced Statistical Methods and the Case for an Inclusive Learning Approach. SKILL Journal. Issue No. 68, November 2000, 2000. Cordea, Florentina, Teodora Pantazi, Viorica Dobran, Daniela Boneva. Davis Method for Dyslexia Recovery. Competencies and Capabilities in Education. Conference Manual, pp 108-114, 2009. Dale, Mark, and Barbara Taylor. How Adult Learners Make Sense of Their Dyslexia. Disability and Society. Volume 16, Issue 7 December , pages 997 - 1008, 2001. Davies, Mary' Rilely, Howard. Making an essay: Inclusive learning, a new assessment for visual learners. Journal of Writing in Creative Practice. Volume 4, Number 2, pp 153-178 22 December, 2011. Dawson, George, & Stephanie D'Souza. Davis Dyslexia. Behavioural Interventions to Remediate Learning Disorders: A Technical Report. , 2015.
de Fouchier, Flore. Réflexions sur le devenir professionnel des personnes dyslexiques. . June, 2007. Devolli, Ardita, and Behlul Bretovci. Gender Differences in Reading Comprehension Skill and Success at School. . International Conference on European Studies - ICES 2013, 2014. Department for Education and Skills. The Davis counselling approach. A Framework for Understanding Dyslexia. , 2004. Edmonds, Casey. 'Diff-ability' not 'disability': right-brained thinkers in a left-brained education system. Support for Learning. Volume 27, Issue 3, pages 129-135, August, 2012. Ehardt, K. Dyslexia, Not Disorder. Dyslexia. Volume 15, Issue 4, pp 363366 (November), 2008. Engelbrecht. René Jeanne. The effect of the Ron Davis programme on the reading ability and psychological functioning of children. . , 2005. Everatt, John. The abilities and disabilities associated with adult developmental dyslexia. Journal of Research in Reading. Volume 20, Issue 1, pp 13-21, 1997. Feizipoor H., and Akhavan Tafti. The Effectiveness of Davis Dyslexia Correction Method Re-examined in Iran. New Thoughts on Education. Volume 1(1):39-50 (Spring), 2005. Folb, Naomi. Dyslexic writers and the idea of authorship. Journal of Writing in Creative Practice. Volume 5, Number 1, pp. 125-139, 2012. Franks, Karen, & Howard Frederick. Dyslexia and Entrepreneur: Typologies, Commonalities and Differences. Journal of Asia Entrepreneurship and Sustainability. Vol IX Iss 1, pp 95-115, May, 2014. Gabor, Georgina. Can students with dyslexia be effectively supported in the diversity of an international school setting?. Journal of Research in Special Educational Needs. Volume 10, Issue 1, pages 3141 (March), 2010. Jeffrey W. Gilger, Kristina Allen, Anabel Castillo. Reading disability and enhanced dynamic spatial reasoning: A review of the literature. Brain and Cognition. Volume 105, Pages 55–65 (June), 2016. Jeffrey W. Gilger. Beyond a reading disability: comments on the need to examine the full spectrum of abilities/disabilities of the atypical dyslexic brain. Annals of Dyslexia. , 2017. Giovenzana, Alessia. Interaction between language and analogical reasoning from the brain imaging perspective. . Ph.D. Dissertation, 2011. Gray, Erika S.. Understanding Dyslexia and its Instructional Implications. Literacy Research and Instruction. Volume 47, Issue 2, Pages 116  123, 2008. Grosholz, Emily R.. Teaching the Complex Numbers: What History and Philosophy of Mathematics Suggest. Journal of Humanistic Mathematics. Vol. 3, No. 1, pages 62-73; January, 2013. Hachmann, Wibke M; Louisa Bogaerts, Arnaud Szmalec, Evy Woumans, Wouter Duyck, Remo Job. Short-term memory for order but not for item information is impaired in developmental dyslexia. Annals of Dyslexia. July 2014, Volume 64, Issue 2, pp 121-136, 2014. Hamid, Jamila; NH Ubaidullah; KA Samsudin; A Saad; SBO Khan. Requirement Analysis or the Development of a Directed Exploration Virtual Reality Potentials Diagnosis System for Dyslexic Children. Australian Journal of Basic and Applied Sciences. 8(23) Special, Pages 44-52, 2014. Hamid, Jamilah; Ubaidullah, Nor Hasbiah ; Samsudin, Khairul Anuar ; Saad, Aslina. Designing a web based non-immersive Virtual Environment Application (WB-NIVEA) for diagnosing dyslexic children' potential. Digital Information Processing and Communications (ICDIPC), 2015 Fifth International Conference. pp 1-6, 7-9 October, 2015. Heidari T, Amiri Sh, Molavi H. Effectiveness of Davis Dyslexia Correction Method on Reading Performance of Dyslexic Children. Journal of Applied Psychology. 6(2(22)):41-58, Summer, 2012. Heidari, Taher, Shole Amiri, and Hosein Molavi. Effect of the Davis training method on self-concept children with dyslexia. Journal of Behavioral Sciences. Volume 6, Number 2: 11-12 (Summer), 2012. Heim, Stefan, and Ralph Weidner, Ann-Christin von Overheidt, Nicole Tholen, Marion Grande, Katrin Amunts. Experimental induction of reading difficulties in normal readers provides novel insights into the neurofunctional mechanisms of visual word recognition. Brain Structure and Function. Volume 219, Issue 2, pp 461-471. March, 2014. Helga Gunnarsdóttir. Dyslexía og líðan. . , 2008. Dwayne Hess. A Case Study in Teaching Reading to the Adult Learner. . Master's Thesis, 2009. Hibbs, Ernest. Was Dyslexia Used to Order the Alphabet?. Innovative Techniques in Instruction Technology, E-learning, E-assessment and Education. ed. Magued Iskander, pp. 150-155, 2008. Hill, Andrew. An Examination of the Experiences and Perceptions of Dyslexic Police Officers in England and Wales. De Montfort University. PhD Thesis, 2013. Howlin, Francis,and Phil Halligan, Sinead O-Toole. Development and implementation of a clinical needs assessment to support nursing and midwifery students with a disability in clinical practice: Part 1. Nurse Education In Practice. Volume 14, Issue 5 pp. 557-64 (September), 2014. Ischenko, Catherine Valeryevna. Dyslexia and Correction Methods. . , 2014. Veronicah Kaluyu, Pamela Ooko. The Relationship between Writing Dyslexia and Academic Performance of Upper Primary Pupils in Public Schools in Changamwe Sub-County Kenya. International Journal of Social Science Studies. Vol 4, No. 10, pp 61-70, 2016. Kamala, R.. Multisensory Approach to Reading Skills of Dyslexic Students. IOSR Journal Of Humanities And Social Science. Volume 19, Issue 5, Ver. II, pp 32-34, May, 2014. Kamala, R, and E. Ramganesh. Difficulties in Identifying the Dyslexics in Multilingual Context. International Journal of Humanities and Social Science Invention. Vol 4, Issue 1, pp. 18-22, January, 2015. Kano, Akiyo. Evaluating Phrase Sets for Use with Text Entry Method Evaluation with Dyslexic Participants. . , 2002. Katrín Møller Eiríksdóttir. Lok, lok á læsi : lesblinda og athugun á áhrifum Davis-aðferðarinnar í kennslustofunni. Lokaverkefni - grunnskólabraut. Dissertation, University of Akureyri, 2004. Kenny, Aine and McLoughlin, Maria and Kenny, Michael. Unleash the power within. Valuing Complexity: Celebrating Diverse Approaches to Teaching & Learning. August, 2009. Knauff, Markus. A Neuro-Cognitive Theory of Deductive Relational Reasoning with Mental Models and Visual Images. Spatial Cognition & Computation. Volume 9, Issue 2, pages 109 - 137 (April), 2009. Kramer, Sara. Memorandum submitted by Sara Kramer (LI 25). Evidence Check 1: Early Literacy Interventions; Second Report of Session 2009-10. 92-93 (October), 2009. Kramer, Sara. Is there a link between perceptual talent and dyslexia?. The Journal of Inclusive Practice in further and higher education. Issue 7. pp 34-48, 2016. Kreder, Gabriele,and Magda Maier. Was tun, wenn die Buchstaben wegtanzen? Zur Legasthenie und zur »Davis-Methode«. Erziehungskunst. 64 (2000) 10, S. 1043-1053, 2000. Kusuma Dewi, Ketut Mirani. Dyslexia and EFL teaching and learning: A case study In Bali. Jurnal Pendidikan Bahasa. Volume 5, Number 1, 2012. Lebovits, Gerald. Learning Disabilities and the Legal Writer. New York State Bar Association Journal. Volume 77, No. 7 (September), 2005. Lee, Lay Wah. The Davis Model of Dyslexia Intervention: Lessons from One Child. Pertanika J. Soc. Sci. & Hum.. 18 (1): 133 - 139, 2010. Lee, Lay Wah & Hui Min Low. Analysis of Malay word structure by pre-service special education teachers: foundation-level knowledge for remedial instruction. Australian Journal of Learning Disabilities. Volume 19, Issue 1, 2014. Leitao, Roxanne, and Chris Roast. Developing visualisations for spreadsheet formulae: towards increasing the accessibility of science, technology, engineering and maths subjects. Conference on Intelligent Computer Mathematics, Coimbra, Portugal. Conference Paper, July, 2014. Laura Lenz; Tobias Meisen ; Andre Pomp ; Sabina Jeschke. How will the Internet of Things and big data analytics impact the education of learning-disabled students? A Concept Paper. 2016 3rd MEC International Conference on Big Data and Smart City (ICBDSC). P. 1-7, 15-16 March, 2016. Macdonald, Stephen James. Windows of reflection: conceptualizing dyslexia using the social model of disability. Dyslexia. Volume 15 Issue 4, Pages 347 -362 (May), 2009. Marazzi, Christian (translated by Sabrina Ovan). Dyslexia and the Economy. Angelaki: Journal of the Theoretical Humanities. Volume 16, Issue 3, page 19-32, 2011. Michal, Lech, and Kostek Bozena. Human-Computer Interaction Approach Applied to the Multimedia System of Polysensory Integratio. Studies in Computational Intelligence. Volume 226, 2009. Mihandoost, Zeinab, Habibah Elias, Sharifa, and Mahmud Rosnaini.. Comparison of the Reading Motivation and Reading Attitude of Students with Dyslexia and Students without Dyslexia in the Elementary Schools in Ilam, Iran. International Journal of Psychological Studies. 3(1):17-27 (June), 2011. Minematsu, Nobuaki, and Tazuko Nishimura. Consideration of Infants' Vocal Imitation Through Modeling Speech as Timbre Based Melody. New Frontiers in Artificial Intelligence. eds. Ken Satoh, et al, pp. 26-39, 2008. Mitra, Abhijit. Dyslexia and EFL: A Review of Literature and Empirical Studies. Master's Thesis. , 2008. Morris, David, and Patricia Turnbull. Clinical experiences of students with dyslexia.. Journal of Advanced Nursing. Vol. 54(2):238-247 (April), 2006. Morris, David K. and Patricia A. Turnbull. The disclosure of dyslexia in clinical practice: Experiences of student nurses in the United Kingdom. Nurse Education Today. 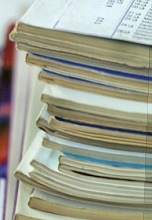 Volume 24, Issue 1 (January), pp. 35-42, 2007. Murphy, Fred. The clinical experiences of dyslexic healthcare students. Radiography. In Press, 2008. Murphy, Fred. On being dyslexic: Student radiographers perspectives. Radiography. 17(2): 132-138 (May), 2011. Nandhini, K., and S.R. Balasundaram.. Improving readability through extractive summarization for learners with reading difficulties. Egyptian Informatics Journal. In Press, 19 October, 2013. Nichols, Catherine. Is there an evolutionary advantage of schizophrenia?. Personality and Individual Differences. Volume 46, Issue 8, Pages 832-838 (June), 2009. New Zealand Ministry of Education. Literature Review: An International Perspective on Dyslexia. . , 2007. Obradovi?, Svetlana; Dragana Bjeki?, Lidija Zlati?. Creative Teaching with ICT Support for Students with Specific Learning Disabilities. Procedia - Social and Behavioral Sciences. Vol.203, pages 291-296; 26 August, 2015. Oetringer, Eugen, and Michael Fitzgerald. Hypothesis: Capacity bottlenecks cause mental conditions and disorders. Bioscience Hypotheses. Volume 1, Issue 1, Pages 28-31 (April), 2008. Sharon Pfeiffer, Ronald Davis, Ethel Kellogg, Carol Hern, T.F. McLaughlin, and Gerry Curry. The Effect of the Davis Learning Strategies on First Grade Word Recognition and Subsequent Special Education Referrals. Reading Improvement. Volume 38, Number 2 (Summer), 2001. Phoenix, Chris. A Multi-Level Synthesis of Dyslexia. Unifying Themes in Complex Systems IV. ed Yaneer Bar-Yam, Ali Minai, pp 100-112, 2008. Plakopiti, Anastassia; Ioanna Bellou. Text Configuration and the Impact of Anxiety on Pupils with Dyslexia. Procedia Computer Science. Volum3 27, pages 130-137, 25 February, 2014. Poole, Jennifer. Dyslexia: a wider view. The contribution of an ecological paradigm to current issues.. Educational Research. Volume 45, Issue 2 June, pages 167 - 180, 2003. Caroline Ridley. The experiences of nursing students with dyslexia. Nursing Standard. 25: 24 , 35-42, 2011. Ritchie, Stuart J., Michelle Luciano, Narelle K. Hansell, Margaret J. Wright, Timothy C. Bates. The relationship of reading ability to creativity: Positive, not negative associations. Learning and Individual Differences. Volume 26, Pages 171-176, 2013. Rolka, Emily J, & Michael J Silverman. A systematic review of music and dyslexia. The Arts in Psychotherapy. Volume 46, November 2015, Pages 2432, 2015. Sahari, Siti Huzaimah, and Aiza Johari. Improvising Reading Classes and Classroom Environment for Children with Reading Difficulties and Dyslexia Symptoms. Procedia - Social and Behavioral Sciences. Volume 38, Pages 100107, 2012. Sakai, Noburu. A comparative study on educational support for students with learning disabilities between Japan and the U.S.. The Online Journal of New Horizons in Education. Volume 7, Issue 1, January, 2017. Sanderson-Mann, Jo, and Fiona McCandless. Understanding dyslexia and nurse education in the clinical setting. Nursing Education in Practice. Volume 6, Issue 3, Pages 127-133 (May), 2006. Sanderson-Mann, Jo; Wharrad, Heather J.; McCandless, Fiona. An empirical exploration of the impact of dyslexia on placement-based learning, and a comparison with non-dyslexic students. Diversity and Equality in Health and Care. Volume 9, Number 2, pp. 89-99, August, 2012. Serrano-Lopez, Maria A.. Three-dimensional clay modeling instruction: A pathway to spatial concept formation in second language learners.. . , 2003. Serrano-Lopez, Maria and Matthew E. Poehner. Materializing linguistic concepts through 3-D clay modeling. Sociocultural theory and the teaching of second languages. , 2008. Shayan, Nasrm, Mahnaz Akhvan Tafti, Hasan Asheri. Impact of Davis Dyslexia Correction Method on the Improvement of the Adult Dyslexic's Reading Skills. Journal of Educational Psychology Studies. 7(12):23-46, Fall 2010-Winter, 2011. Sheppard, Anne L. S.. The effects of dyslexia on student achievement in secondary education. MA Thesis. , 2009. Silverman, Linda Kreger. The two-edged sword of compensation: How the gifted cope with learning disabilities. Uniquely Gifted: Identifying and Meeting the Needs of Twice Exceptional Learners. Kiesa Kay (Ed. ), (pp. 153-165), 2000. Skinner, Tina. Dyslexia, mothering and work: intersecting identities, reframing, drowning and resistance. Disability and Society. 26 (2), pp. 125-137, 2011. Skinner, Tina. Women's perceptions of how their dyslexia impacts on their mothering. Disability and Society. 12 July, 2012. Smallridge, Danella. Delving into Dyslexia. Report. New Zealand Sciences Mathematics Technology Teaching Fellowship, 2009. Solvang. Developing an ambivalence perspective on medical labelling in education: case dyslexi. Sociology in Education. Volume 17, Issue 1 & 2 , pages 79 - 94 (June), 2007. Spelberg, Henk C Lutje, Palien de Boer, and Kees van den Bos. Item type comparisons of language comprehension tests. Language Tessting. Vol. 17, No. 3, 311-322, 2000. Tafti, Mahnaz Akhavan, Joseph R Boyle, Candy Marie Crawford. Meta-Analysis of Visual-Spatial Deficits in Dyslexia. International Journal of Brain and Cognitive Sciences. 3(1): 25-34, 2014. Tholen, Nicole; Ralph Weidner, Marion Grande, Katrin Amunts, Stefan Heim. Eliciting Dyslexic Symptoms in Proficient Readers by Simulating Deficits in Grapheme-to-Phoneme Conversion and Visuo-Magnocellular Processing. Dyslexia. Volume 17, Issue 3, pp 268281, August 2011, 2011. Thompson, Christine, Alison Bacon; Timothy Auburn. Disabled or differently-enabled? Dyslexic identities in online forum postings. Disability & Society. Volume 30, Issue 9, pages 1328-1344. Published online 27 Nov., 2015. Tolmie, S.J.. Remediërende Intervensiestrategieë Vir Afrikaanssprekende, Intermediêre Leerders Met Disleksie. Master's Thesis (Education). , 2008. Patrizio E. Tressoldi, Claudio Vio, Maria Luisa Lorusso, Andrea Facoetti, Roberto Iozzino. Confronto di efficacia ed efficienza tra trattamenti per il miglioramento della lettura in soggetti dislessic. Psicologia Clinica Dello Sviluppo. VII, n. 3: 481-493, 2003.
van Staden, A; A. Tolmie; MG Badenhorst. Enhancing intermediate dyslexic learners' literacy skills: a Free State community project. Africa Education Review. Volume 6, Issue 2, pages 295-307 (October), 2009.
von Károly, Catya, and Ellen Winner. Dyslexia and Visual-Spatial Talents: Are they Connected?. Students with Both Gifts and Learning Disabilities. ed Tina M. Newman, Robert J. Sternberg; pp. 95-115, 2004.
von Károly, Catya, and Ellen Winner. Investigations of Visual-Spatial Abilities in Dyslexia. Focus on dyslexia research. ed. Henry D. Tobias, pp. 1-26, 2004. Von Schwarzenfeld, Brigitte K. Vier oder Fiehr? Legasthenie -- eine unerkannte Fähigkeit. Erziehungskunst. Vol 2, pp. 146-154, 2009. Wai, Nicole; Ying Chan; Kaili Chen Zhang. Effective Spelling Strategies for Students with Dyslexia in Hong Kong Secondary Schools. International Journal of Special Education. Vol. 29, No. 1, 2014. Whitelegg, Liz, and John Conway. Supporting STEM students with dyslexia: A good practice guide for academic staff. . (Brochure), 2013. Yates, Rowdy. Bad mouthing, bad habits and bad, bad, boys: an exploration of the relationship between dyslexia and drug dependence. Mental Health and Substance Use. 9 August, 2012. Þóra Þórhallsdóttir. Dyslexía : erfiðleikar við lestrarnám og mikilvægi snemmtækrar íhlutunar. Skemman. Dissertation, University of Iceland, 2009. Þorsteinsson, Einar Kristinn. Dyslexia and Academic Success: What enables dyslexic students to advance to higher education?. Skemmen (Master's Thesis, University of Iceland). , 2015.